Sharon Toi used her 2014 Fulbright-Ngā Pae o te Māramatanga Graduate Award to research the invisibility of indigenous women in tribal governance, at the University of Arizona in Tucson, towards a PhD in Law from the University of Waikato. Sharon graduated with an LLB in 1997 and a BA in 1998 from The University of Auckland. She obtained an MBA in 2008 and an LLM (Hons) in 2010 from the University of Waikato. When Sharon Toi arrived in Tucson, Arizona with its “hot as an oven, 46 degrees Celsius summer weather”, she made a personal commitment to make her Fulbright exchange an experience of a life-time. She believes she exceeded her own, her family’s and her academic colleagues’ expectations. “I made lifelong friends, American, Indian and international. I stepped way out of my comfort zone and attended many events on my own so that I would be forced into meeting new people,” Sharon says. She joined a triathlon training club shortly after arrival and competed in two sprint triathlons. The early morning triathlon training sessions kept her active and got her out of the apartment, which was graduate housing on campus near “superb” local public transport, cafes, stores and supermarkets. Her flatmate was a young American woman from Kansas doing a graduate programme in photography. Despite their age difference (Sharon is now in her 50’s), the pair became firm friends. Sharon met other Fulbrighters from around the world at the Fulbright orientation she attended, joined the Native Law Students Association and became an affiliated member of the National Native Law Students Association. Very few people she met had met a Māori person or knew about the culture so she was invited to speak at many events, dinners and luncheon about her research, Māori language, customs and way of life. A highlight of her time in Arizona was making Dinė (Navajo) friends and spending time on the Navajo and Hopi reservations. She spent some time in Tuba City with a New Zealander, Brendan Kennedy who practised law with the Navajo Legal Aid Services. Sharon travelled several times to Chinle, on the Navajo reservation, where she enjoyed helping out with the High School’s track meet against the visiting Ganado High school. Sharon’s research situates Māori women’s participation in tribal governance within the context of treaty settlements. Perceived as providing a pathway toward economic, social and cultural development, post-settlement governance is currently a site of struggle for Māori women as it is for many indigenous nations. “The research I conducted in the US broadened my knowledge on indigenous women’s issues significantly,” Sharon says. Once in the US, Sharon found that her lack of knowledge of Federal Indian Law and the workings of tribal governments meant that she had to do between three and four months of intensive preparatory research in those areas prior to initiating contact with potential interview participants. As a result, she interviewed some local Native women tribal leaders and was provided access to a number of Native databases containing many interviews with tribal men and women, through the Native Nations Institute and the work of the Dr. Stephen Cornell of the Harvard American Indian Economic Development Programme. 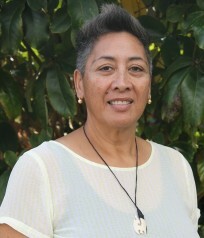 Overall, her research goal is to aid in the development of Kaupapa Māori theory through an indigenous women’s lens, thus building on Mana Wahine as a theory appropriate for both Māori and other indigenous women. “Ultimately, my hope is to develop ‘decolonising’ gender analysis tools to facilitate indigenous women’s decision-making in tribal governance. Women have an important role to play in the self-determination agenda of indigenous nations, however, I believe that there is a pressing need to identify who the ‘self’ is in that agenda and that women’s roles, participation and ways of deciding are being overlooked,” Sharon says. When it came to sharing cultural knowledge on her exchange, Sharon aimed to give as well as receive which she did by teaching waiata, haka and poi as well as answering many questions about her home country. The Fulbright-Ngā Pae o te Māramatanga Graduate Award is for a promising New Zealand graduate student to undertake postgraduate study or research at a US institution in the field of indigenous development. One award valued at up to US$31,000 (plus $4,000 travel funding) is granted each year, towards one year of study or research in the US. Applications close 1 August annually.